Apple are rumored to launch the iPhone 6 with a sapphire display, and we have been hearing rumors about a Kyocera handset with a sapphire display, the device is now official, the Kyocera Brigadier. The Kyocera Brigadier is now available from Verizon, the handset is designed to be a rugged smartphone, and it will set you back $99.99 on a new two year contract, $19.99 on Verizon Edge or $399.99 outright. The handset is equipped with a 4.5 inch Kyocera Sapphire Shield display with a resolution of 1280 x 720 pixels, the device is powered by a quad core Qualcomm Snapdragon 400 processor clocked at 1.4GHz and it features 2GB of RAM. Other specifications on the Kyocera Brigadier include 16GB of storage, plus a microSD card that supports up to 32GB cards, and front and rear cameras. On the front of the handset we have a 2 megapixel camera, on the back there is an 8 megapixel camera, the device also comes with Bluetooth 4.0, NFC and WiFi. 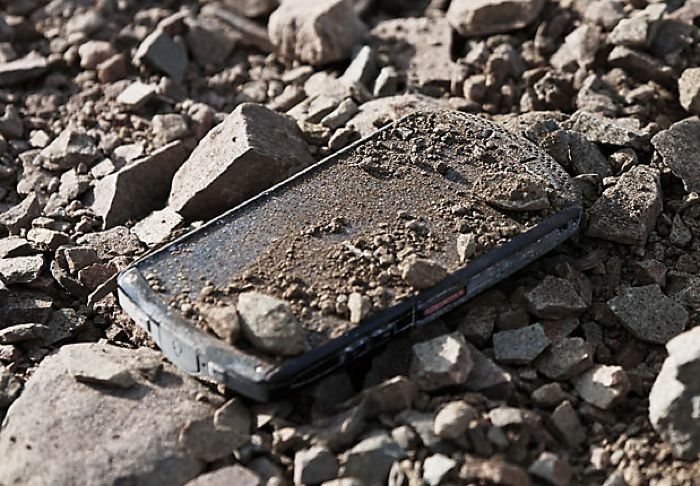 The Kyocera Brigadier is designed to be both rugged and waterproof, the handset conforms to the IP68 standard for waterproofing, and the 810G military standard for ruggedness. You can find out more information about the Kyocera Brigadier over at Verizon at the link below, the handset is now available with the carrier.